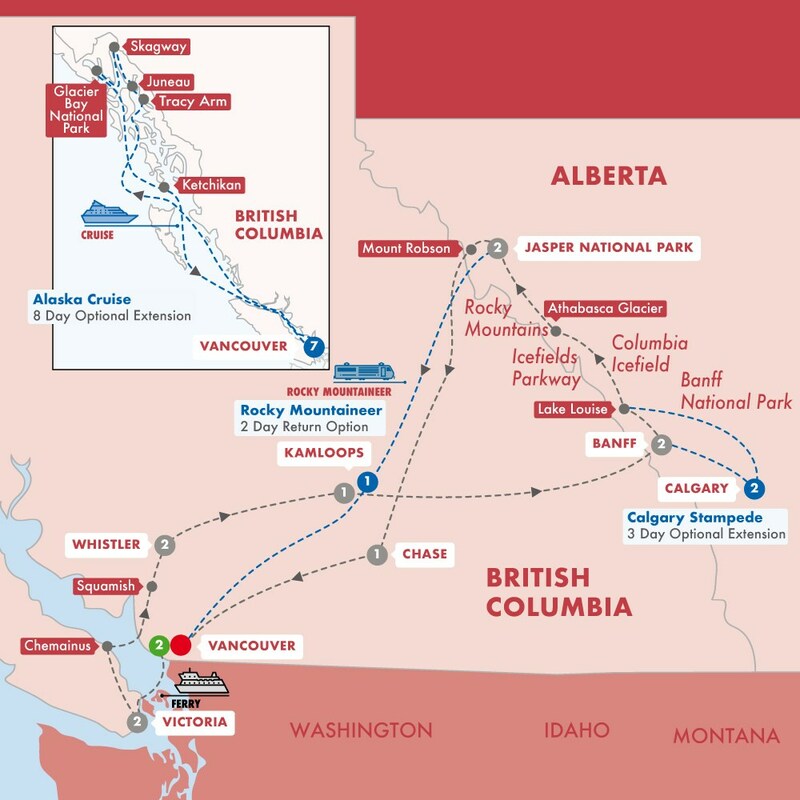 Enjoy some free time until you are transferred to Canada Place where your cruise begins with the Inside Passage on the ms Nieuw Amsterdam. Arrive in Juneau where you can shop downtown, raft or flightsee. Step into the town's past at the Klondike Gold Rush National Historical Park. From your ship, view pristine Glacier Bay National Park. Visit the world's largest collection of standing totem poles or enjoy a variety of optionals. Today is a relaxing day as you cruise back to Vancouver.